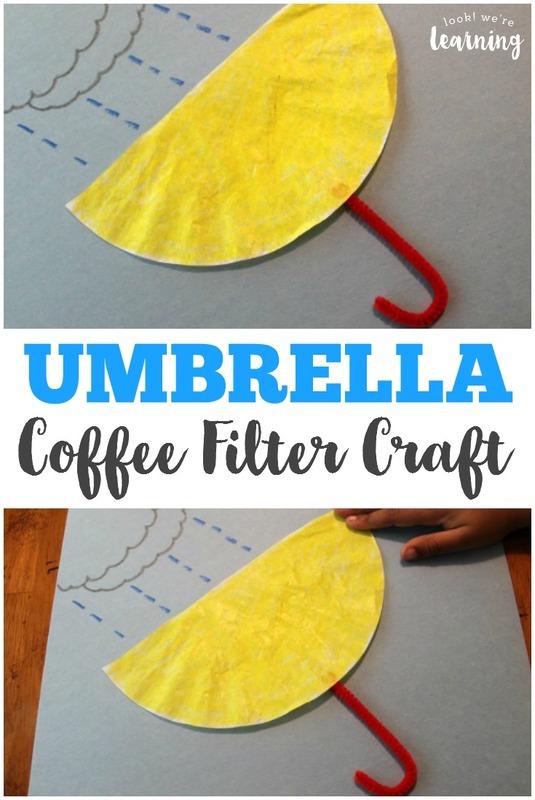 Coffee Filter Umbrella Craft - Look! We're Learning! We’ve had some pretty rainy days around here lately. I mean, they say that “April showers bring May flowers”, but we’ve been having some rainstorms that are a few degrees beyond “showers”. With all the rain we’re getting, we should see more flowers than ever before this May! 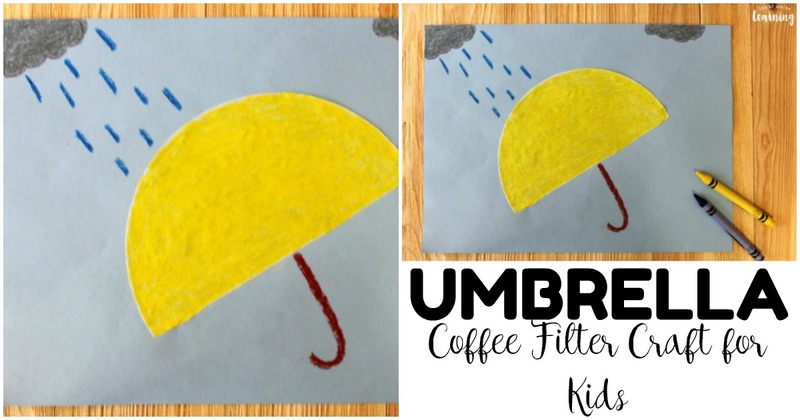 Since the weather’s been so windy and rainy lately, I thought it would be cool to make another one of our coffee filter crafts for kids: a fun coffee filter umbrella craft! 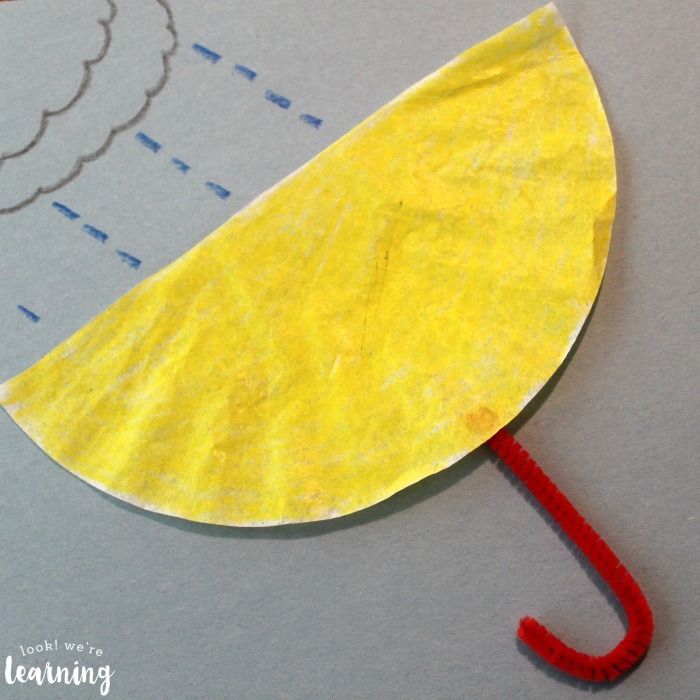 This is a simple craft that only takes a few minutes and a handful of supplies. 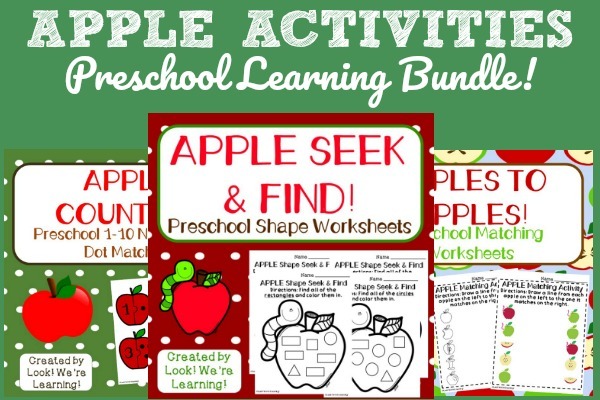 Plus, it’s easy to do with several kids at once! 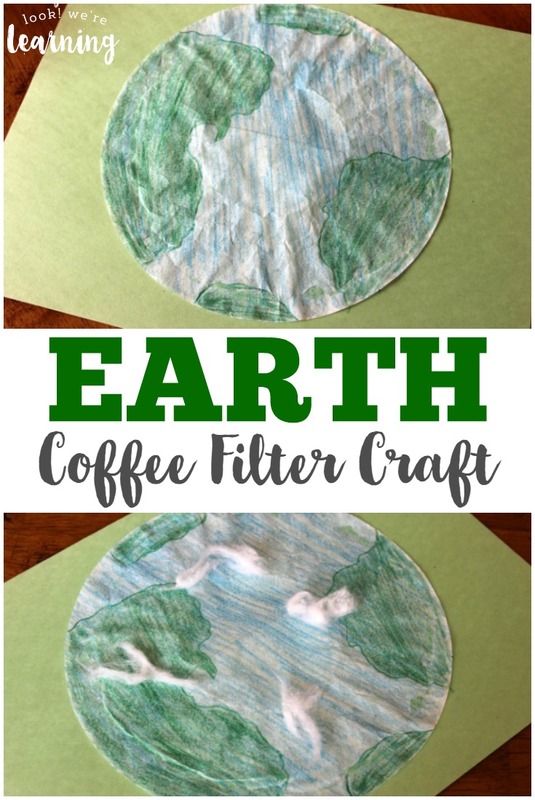 If you love making this craft, check out some of our other easy art activities, including a coffee filter basketball craft and a coffee filter sun craft. 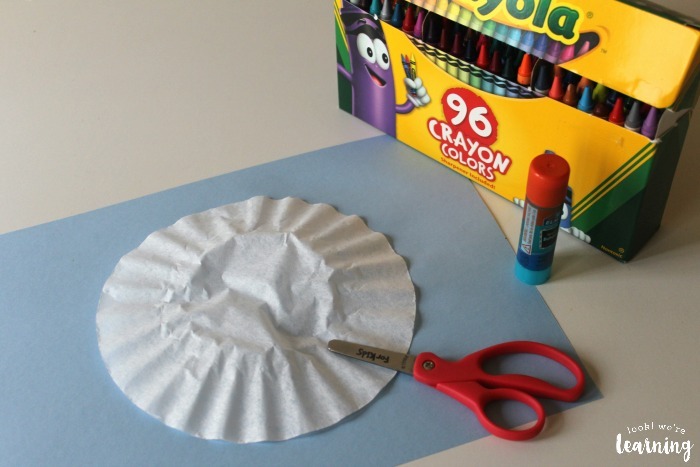 Or if you want to get a jump on your May flowers, make our coffee filter flowers! 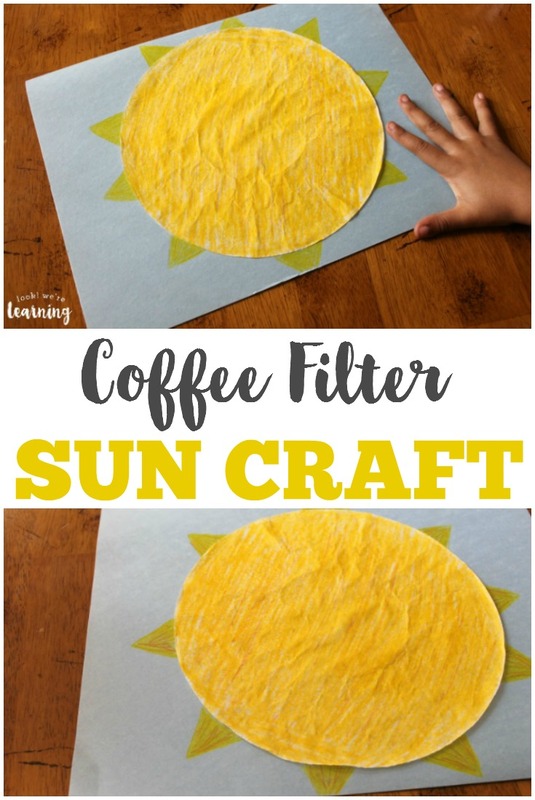 Start by cutting the coffee filter in half. You’ll only need one half for the craft. Color the filter half. 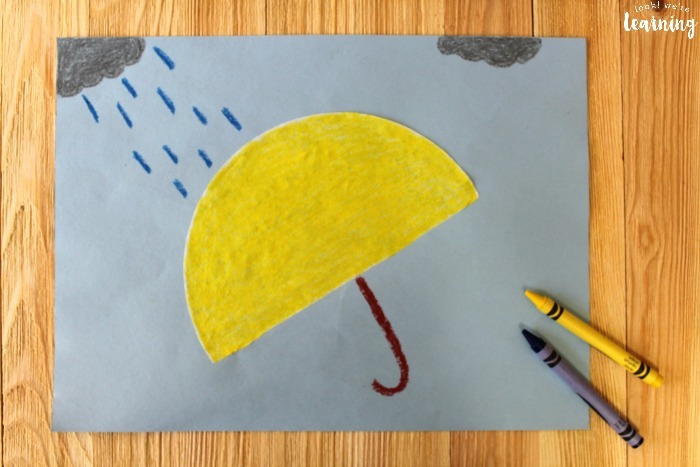 I wanted to use a bright color to contrast with our dreary day background, so I went with yellow. But you can use any color you want. 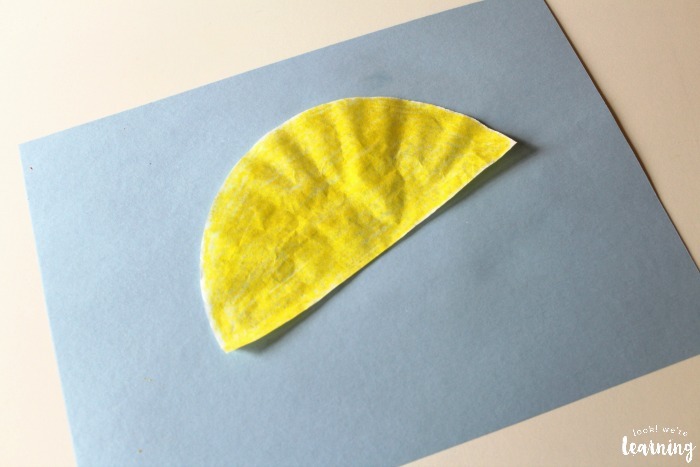 Use a glue stick to glue the filter onto the construction paper at an angle. 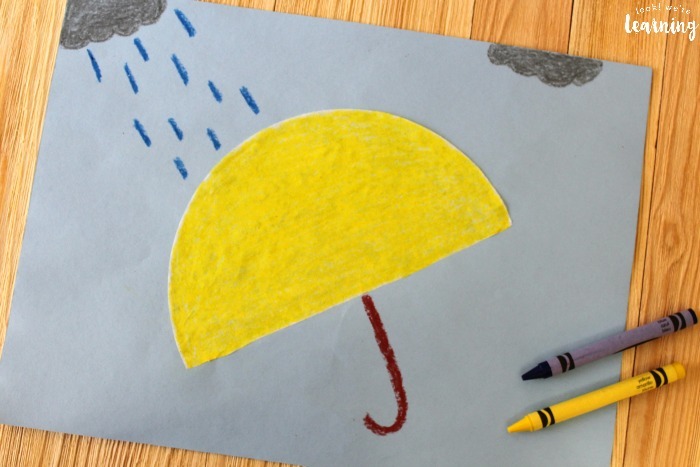 Use a red crayon to draw an umbrella handle. 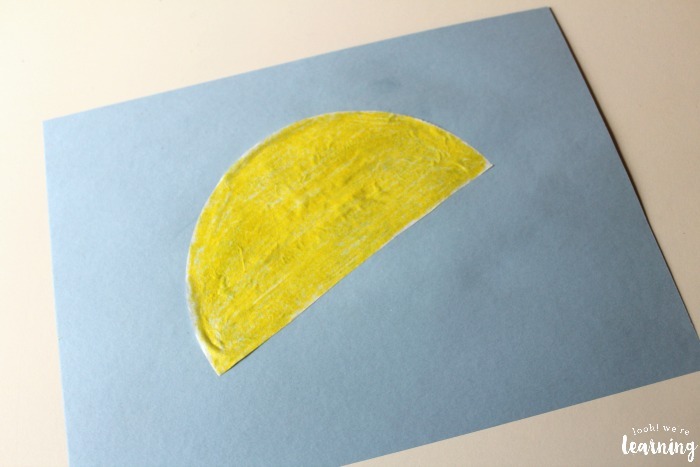 We just made a letter “J” shape. 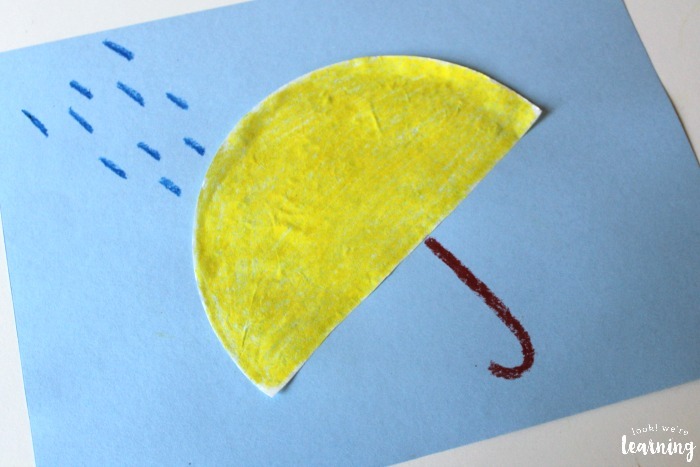 Draw some raindrops in the corner falling onto the umbrella. If you want, you can add some rainclouds at the top too. Ta-da! 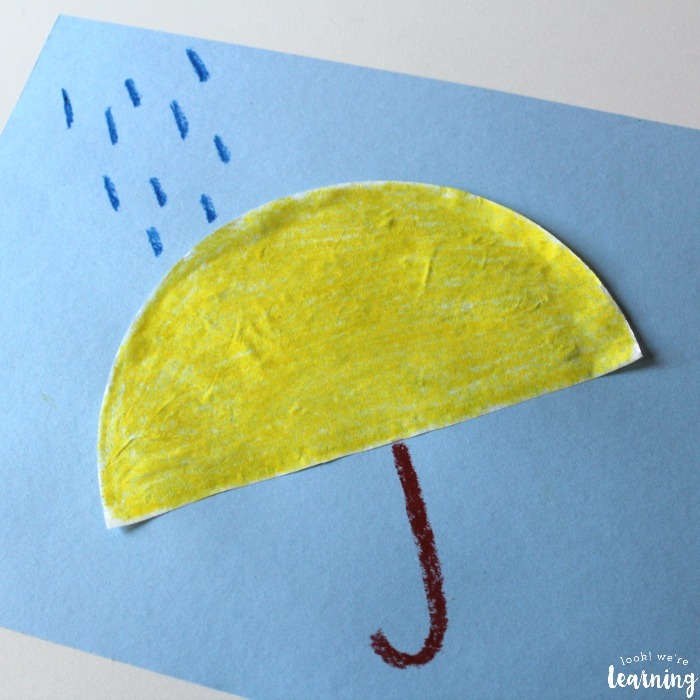 So easy and simple for little hands to make! 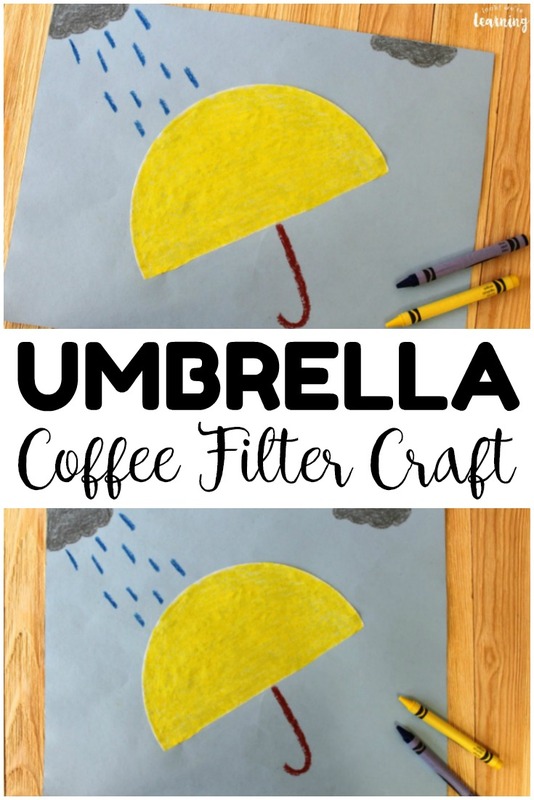 Want to try a fun twist on a basic coffee filter umbrella craft? Make one that’s been blown inside out! 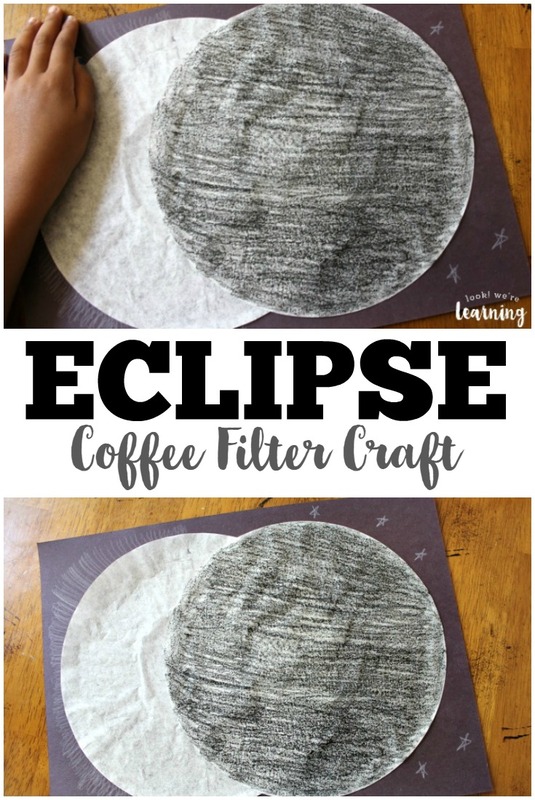 To do this, color the coffee filter half yellow as above, but glue the filter onto the construction paper with the curved side down. 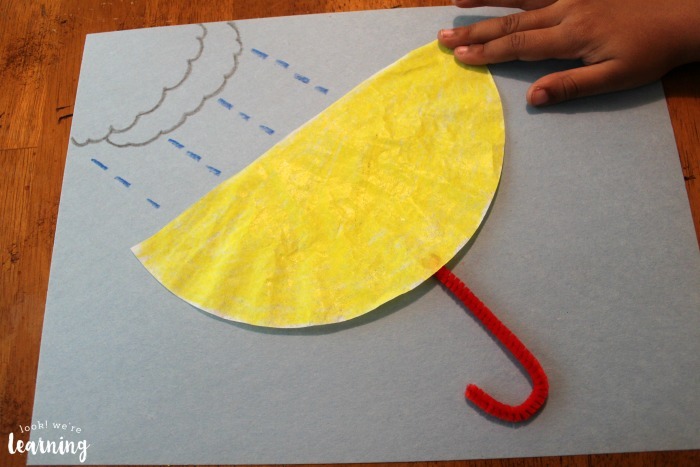 For ours, we cut a chenille pipe cleaner in half and curled one end into a “J” shape to form the umbrella handle. I used red, but (again) use any color you want. 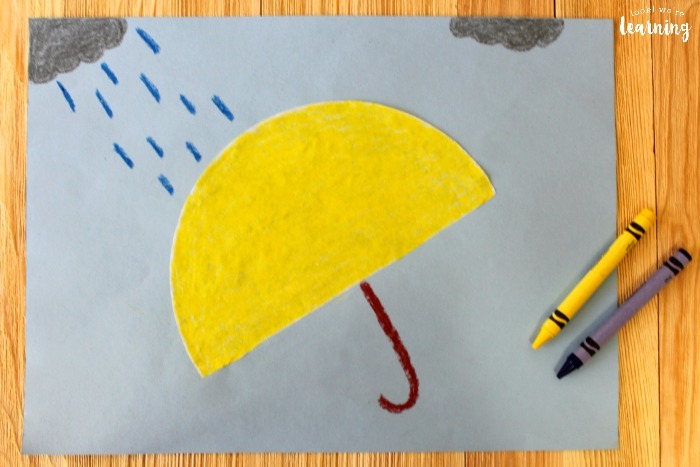 After you draw the raindrops, add some storm clouds to show how hard it’s “raining” in your picture. 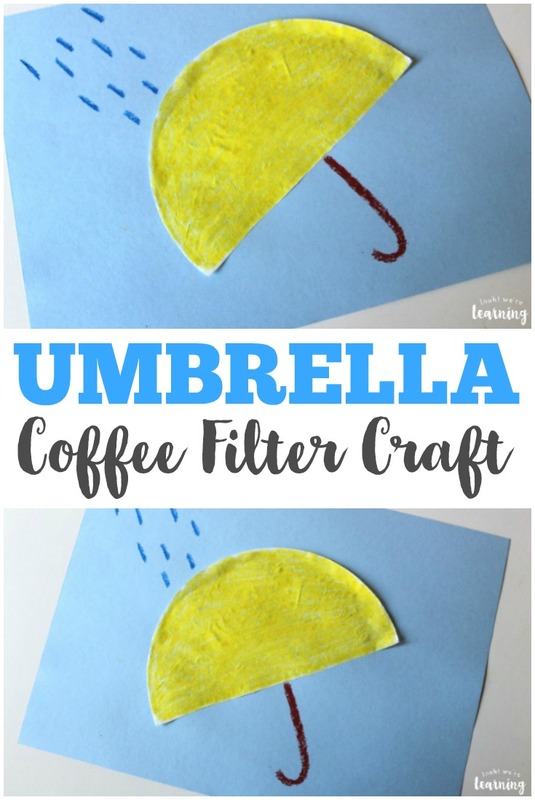 Did you get a chance to make this easy coffee filter umbrella craft? I’d love to know how your kids liked it! 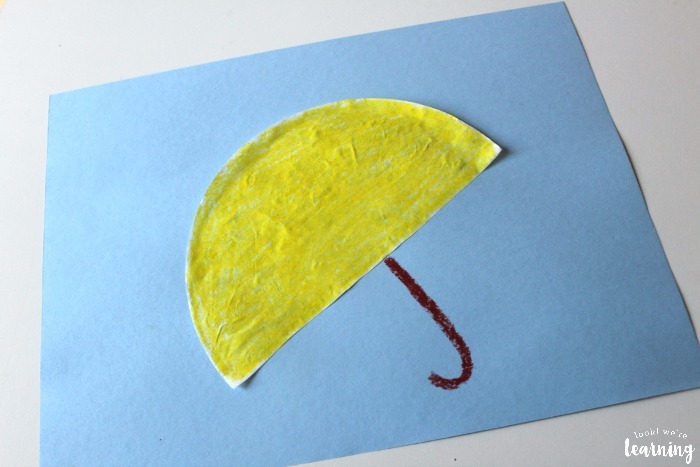 Try these other simple kids’ crafts! 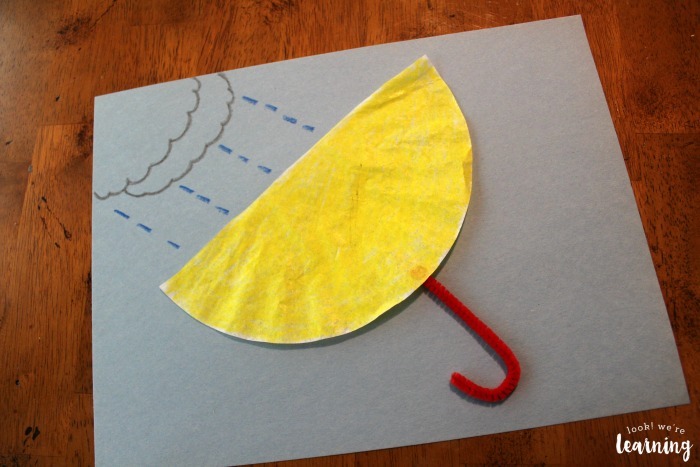 See more easy crafts for children to make on my Simple Crafts for Kids Pinterest board! 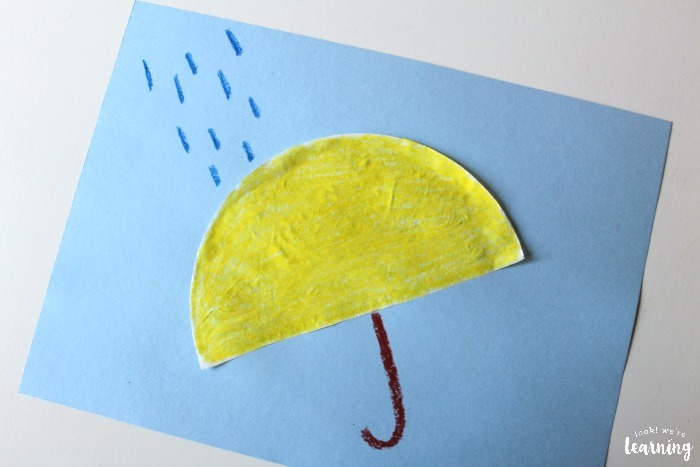 Sign up for our email newsletter to get simple craft ideas and learning printables in your inbox!